Yup, European and Asian people may joke about us taking our guns so seriously, but what do they know about those state criminals and goons? Life of a typical American is not that ‘schwifty’ and he may need to become a John Wick anytime soon. Well, it’s not possible for a not-using-CGI person to clobber some bad guys just with a pencil, so gun is our foremost option. The crap doesn’t end with late night silent highway drive. The summer is coming to an end and loads of engines are being started for a trip. To have fun safely and securely, everybody is ought to place the gun in the car, enjoying songs loudly as much as your car speakers permit along with the sunscreen and other summer ‘vacay’ stuffs. If you’re thinking this is too much, try telling that to your carjacker. And it’s not just those wretched people, who’re up to no good. As you can see, this is clearly the open season. Bunch of hunters are on the go and so do their guns. A hunter can’t even imagine getting on a car without his gun, because it’s maybe hard to track a dumb moose these days, but there’s no guarantee a bear won’t attack you out of nowhere. Alaska, Idaho, Montana and California folks will understand. Anyway, what I mean to say is, guns are a must for the majority of people most of the times when they’re driving and there’s no other way around. However, if we consider the ‘gun’s safety’ facts, traveling with a concealed firearm like that is not actually easy. Lots of issues are working here. You may face legal actions for entering an individual state without their own concealed carry permit. Keeping it unlocked and loaded can bring great trouble. Gun thefts aren’t common but isn’t an impossible possibility either. So, you may like to take some tips from your bro for carrying the firearm safely in the car. Concealed carry permit aka ‘biggest pain in the rear’ should be your topmost priority. There’s not a single permit card available in the United States of America that’s eligible in all fifty states. In every state, a gun owner holds the possibility of charges against him for this permit. A majority of the state permits aren’t acceptable out of their state lines. We know it’s not your fault, every state is authorized by its own rules. Well, the rules are still rules and you can’t escape from them. 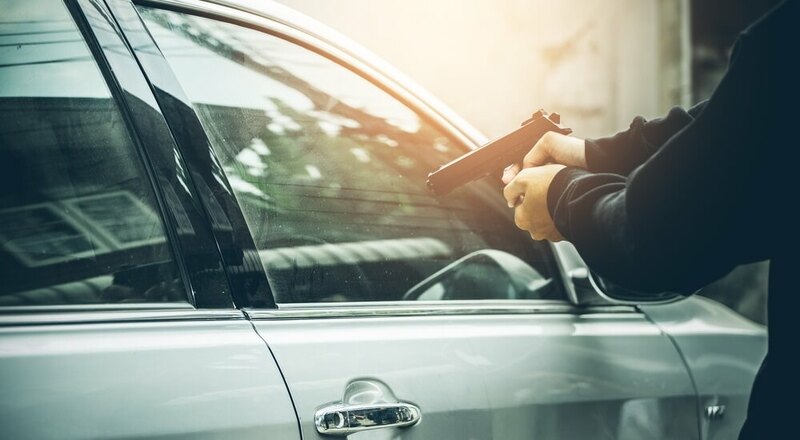 As a conscious folk, it’s your duty to be aware of the state reciprocity codes for carrying a gun in the vehicle whenever you’re willing to travel across a state line. For your convenience, here’s a fact: New York, California, New Jersey, Hawaii and Maryland only allow their own permit to be accessed. In case you’re willing to visit these states, you must have full access to all firearm carrying codes in order to handle legal actions. However, though you can get in trouble without a notice for carrying a gun in the states mentioned above, the permit difference won’t be a problem if you plan to be on the state for a really short period, like a lunch break. Always follow the Firearms Owner Protection Act of 1986. It’ll help you to get out of the trouble when you’re in the States like California where ‘High Capacity Magazine Restriction’ is a strict law. When you’re crossing the state lines of Alaska, Vermont, Mississippi, Kansas, West Virginia, Maine, Missouri, New Hampshire and Arizona, you don’t have to worry about your permit. Unless the county smells something suspicious, you can easily pass by those states without any permit restrictions. It’s not legal to carry a gun unless you’re licensed. Doesn’t matter which states you’re in and if they’d accept your permit or not, you must always have your permit with you. Because some may not bother, but the most states require to see your permit. You may wonder what about the states that don’t allow permits of other states? Well, even in this case, you’re bound to showcase your permit. Otherwise, a police officer possesses a complete right to imprison you. So, always keep your carry permit with yourself. When you’re visiting or passing by Alaska, Nebraska, South Carolina, Oklahoma, Texas, Michigan or Ohio, you’re liable to inform an officer or a sheriff about your gun. Though the most states prefer showing permit over informing the county, wherever it’s required, you must inform as quickly as you enter the state. 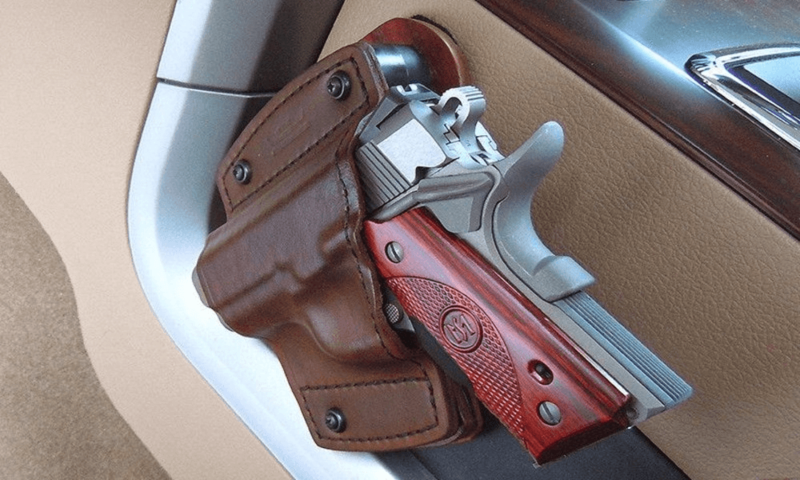 It’s better to bring a gun safe when you’re traveling in the car with a gun. Most gun safety problem occurs due to reciprocity complications in different states. In this case, it’s the wisest decision to conceal the gun in a safe. Because when you’re in the states that only allow their own permit or have a restriction for a certain state’s CCW, locking the gun is always helpful. When the gun is confirmed to be locked and not in use, the states can’t cause much trouble for a license or a permit issue. Moreover, always keep the gun in a separate safe far from ammo, this will help you to deal with law enforcement difficulties with the help of Firearms Owner Protection Act. Who knows, you may fall a victim of gun theft or a snatcher? It’s very dangerous to leave the car without the gun. However, it’s not always possible to wander with your gun around in all sorts of places since there can be state restrictions or regional codes. Some people don’t even allow firearms in their places. But for your gun’s safety, request local folks to allow you to bring the gun along with you. If it’s not possible, lock the gun or keep it hidden to save it from criminal hands. If you’re passing by a particular state with strong restrictions over open use of firearms or have individual permit issue, it’s better not to enter those states with a loaded gun. Keep it empty. But for your safety, keep ammo closer for quick draw. Some states follow a strict restriction law for certain ammunition amount or capacity. If you’re traveling through these states, you mustn’t bring restricted magazines. Avoid those state routes if possible. Gun is compulsory, so is obeying the Governmental law. Though it seems very inconvenient and irrational many of the times, we still respect the rule. Always keep the rules in check if you wanna safely travel with your gun.